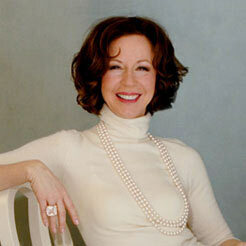 Barbara Barry is among the world’s most prominent and talented designers. Her name stands for a unique blend of sophistication and livability; her designs are classic, timeless and fluid. Hers is a look that speaks to the elegance of form and simplicity of line. Her designs range from elegant interiors to a portfolio of products for the home. Praise from her peers and the press has earned Barbara Barry a distinctive place in design. Her awards include the Interior Design “Hall of Fame”, Architectural Digest list of “World’s 100 Best Designers”, House Beautiful “Giants of Design”, “Designer of the Year” from Elle Décor International Design. Additionally, she has been awarded the ASID “Designer of Distinction”, “Star of Design” for Lifetime Achievement at the Pacific Design Center in Los Angeles, and “Designer of the Year” by Traditional Home and “Best in Residential Design” by Interiors Magazine. The award-winning interior designer has created homes for many prominent American families. Her designs for commercial and private spaces are international in their scope and sophisticated in their mood. Her prestigious commissions range from restaurants, stores, to private estates, offices, and yachts. Her residential projects have graced homes in cities such as Beverly Hills, Malibu, Maui, Chicago, and Jackson Hole. Some of her prominent projects include: Eli Broad’s Foundation office along with his Manhattan apartment in the Sherry Netherland, the Savoy Grill in London, Michael Mina’s restaurant in the St. Francis Hotel in San Francisco, the Avon Spa in New York and the Barbara Barry galleries in Bangkok and Moscow. Today Barbara Barry’s passion for beauty finds expression in many forms through her licensing partnerships with renowned companies throughout the world. Her designs for Baker, Henredon, Wedgwood, Kravet, Tufenkian Carpets, HBF Furniture, Boyd Lighting, McGuire, Ann Sacks Tile & Stone, and Kallista as well as her signature bed and bath line Barbara Barry Dream have been received with high acclaim. Barry launched her first home fragrance collection to bring life to the rooms of the home through scent. Her office in Los Angeles comprises of a small and dedicated staff of talented professionals. Barbara serves as a juror for award committees and travels on widely for speaking engagements and is considered an inspiration for young designers. With a vision of how we live today, coupled with an eye towards tomorrow, Barbara Barry creates elegant interiors, timeless furnishings, and luxury products that inspire a life of beauty.